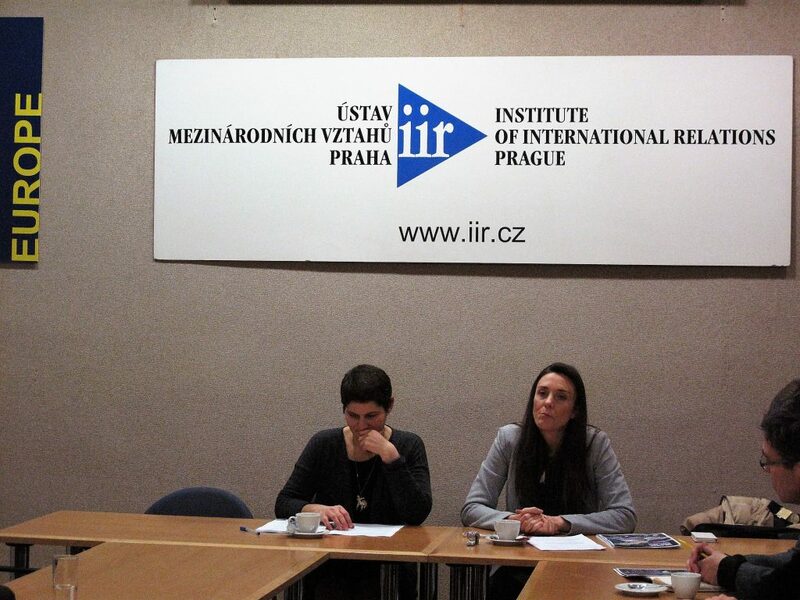 Polar Research and Policy Initiative Fellow Barbora Padrtová was invited to speak at the closed expert seminar “The Arctic: Emerging Importance of the Region for the Czech Republic”, organised in Prague by The Institute of International Relations. The event took place on Monday 9 January, 2017. Since the beginning of the 21st century global interest towards the Arctic region has increased significantly. At the same time, the geostrategic importance has also grown. The Arctic region is currently undergoing dynamic development, facing the climate changes, which bring a whole new set of research and economic opportunities, as well as security risks and challenges. The Czech Republic currently has neither vital nor direct political or economic interests in the Arctic. However, participation in international cooperation in this region is an important factor which positively affects national security and international position of the Czech Republic, especially in the context of the EU and the NATO. The interest of the Czech Republic is to avoid isolation from the developments taking place in the Arctic and elaborate more active engagement in the region. The Ministry of Foreign Affairs of the Czech Republic has recently published an Arctic Analysis – a research report prepared by the research team of the Institute of International Relations in Prague. The Analysis defines the Arctic, analyzes the current status and the basic principles of the Arctic regime. Subsequently, the report examines policies of key actors – eight Arctic states (Denmark, Finland, Iceland, Canada, Norway, Russia, Sweden and the USA), which operate in the Arctic region and are involved in its governance. In addition, the report includes analysis of other four relevant actors involved in Arctic policy shaping (Arctic Council, European Union, NATO and China). Furthermore, the Analysis formulates recommendations for government decision-making in the field of international relations and foreign policy. The Analysis contributes to active engagement of the Czech Republic in shaping the Arctic policies both at European and global level. At the same time, the report supports high-quality decision making on political, economic and international law Arctic issues, hence raising the importance of the Czech Republic and shaping a direction of further scientific research in the region. The aim of this Expert Seminar is to discuss the emerging importance of the Arctic for the Czech Republic, key Czech activities in the region and to present recommendations identified in the Arctic Analysis. Mgr. Barbora Padrtová is an Expert on Geopolitics and Security at the London-based think-tank Polar Research and Policy Initiative (PRPI). In 2016, she was holding a position of a Research Group Leader at the Institute of International Relations in Prague which elaborated tailored analysis of the Arctic policy for purposes of the Ministry of Foreign Affairs of the Czech Republic. Previously she served as Programme Director for Transition (2014-2015) and Project Manager (2011-2014) at the Bratislava-based security and defence policy think-tank CENAA. In 2011, she was also working at the Political Section of the Embassy of the Republic of Iraq in Washington, D.C.
Barbora Padrtová is also a PhD. 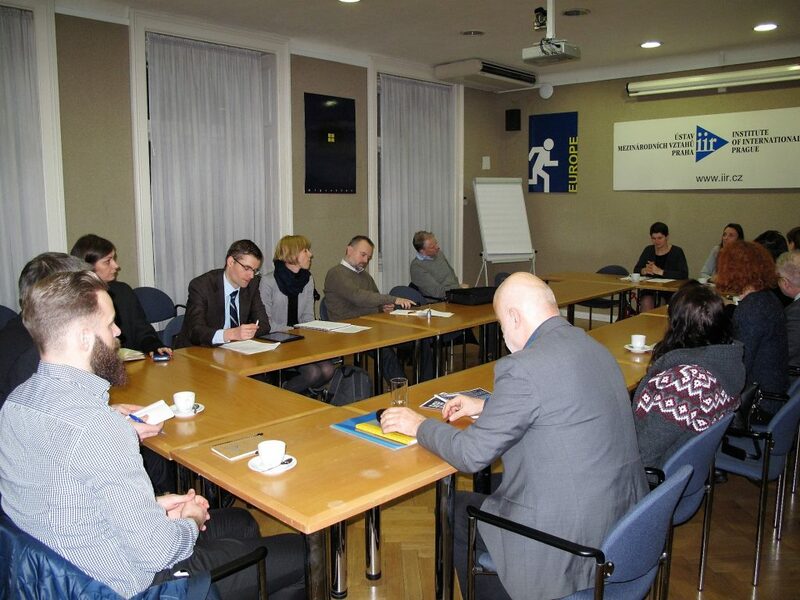 candidate of International Relations at the Faculty of Social Studies of the Masaryk University in Brno, Czech Republic. She holds a Master’s degree in Security and Strategic Studies from the Faculty of Social Studies of the Masaryk University in Brno. In 2009 she graduated in International Relations and European Studies from the Metropolitan University in Prague. During her studies she also studied International Relations and Political Science at the Universiteit Twente in Netherlands. Her research interest focuses mainly on geopolitics and security in the Arctic region and NATO-Russia relations. She has published numerous academic and policy papers, while she has presented outcomes of her research at several high level international conferences. Barbora Padrtova is a member of the UArctic Thematic Network on Geopolitics and Security, Arctic-Frost Network member, ECPR and IPSA. JUDr. Ing. Zuzana Trávníčková, Ph.D. graduated in International Politics and Diplomacy at the University of Economics in Prague, and in Law at the Charles University School of Law in Prague. She lectures in international law, diplomatic and consular law and international economic law at the University of Economics in Prague. In her research she focuses on international regimes and legal aspects of imposition and implementation of international sanctions. She is the author or co-author of many articles and book chapters and the co-editor of several monographs (e.g. Ochrana životního prostředí v Arktidě jako mezinárodní režim. [Environmental Protection in the Arctic as an International Regime] Mezinárodní vztahy. 2013, roč. 48, č. 3, s. 62–80, Arktická politika Evropské unie v mezinárodním kontextu [EU Arctic Policy in International Context]. Současná Evropa [online]. 2010, roč. XV, č. 1, s. 3–30, Mezinárodní smlouvy jako součást mezinárodního režimu Arktidy [International treaties as a part of international regime of the Arctic]. In: ŠTURMA, Pavel, TRÁVNÍČKOVÁ, Zuzana. Výklad a aplikace mezinárodních smluv v průběhu času. Praha: Česká společnost pro mezinárodní právo v nakladatelství Eva Rozkotová, 2014, s. 140–153).